Crochet, fiber, fabric, wire, clay, steel. 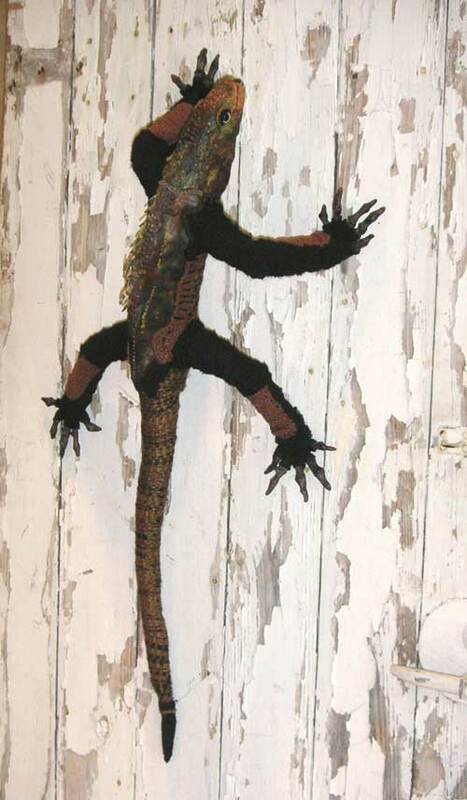 7" x 25" x 25"
Wood door, crochet, steel, woven iguana. Installation, 30" x 72"
Macedonia beetle: crochet fabric, clay, steel, 17" x 19" x 5.5". Yellow beetle: crochet fiber, clay parts, steel armature, fiber wings, 13" x 21" x 5.5". 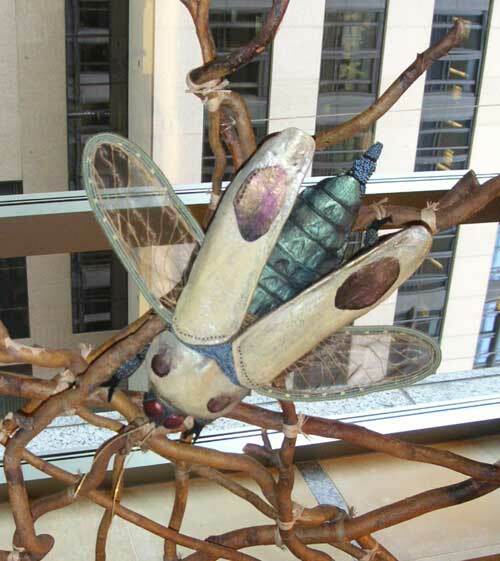 For over 30 years I have been exploring the theme of nature in my sculptures. 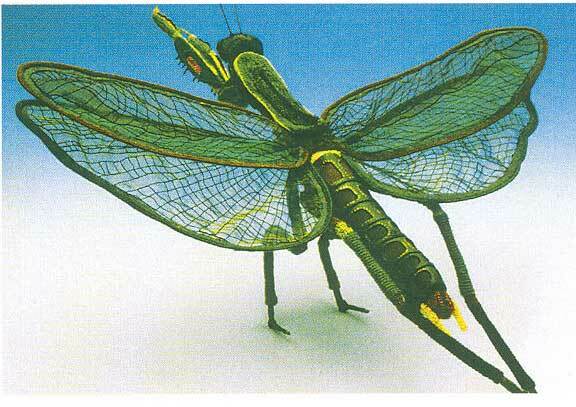 They have taken the form of animals, insects, birds, fish and vegetation, as well as components of the human image. My earlier work was all crochet over wooden bases. Eventually, I started to use different materials such as clay, welded steel, handmade felt, and sewn fabric along with the crochet parts to create a mixed media effect for the sculpture. 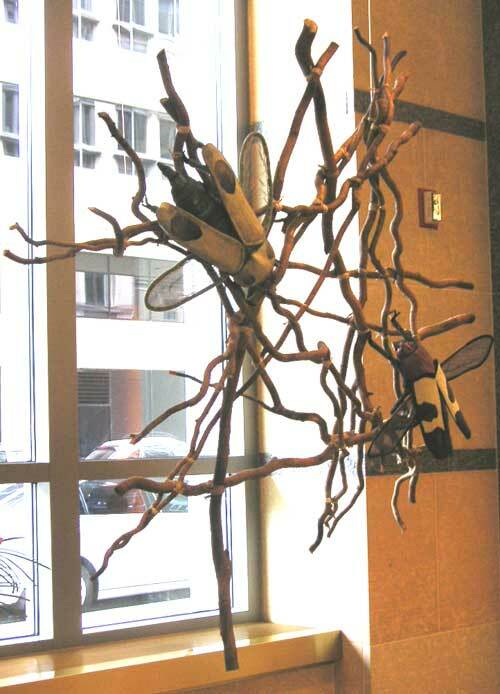 About fifteen years ago I started to give the animals environments and have created large installations incorporating my fiber sculptures with real trees, doors and windows. Although all are made to stand alone as individual works of art, I enjoy the opportunity to expand their meaning by placing them in different settings. Crocheting and working with fiber is still my favorite part of the process.